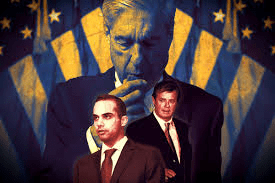 Before we get Mueller’s conclusions?….Here’s what we know….. The Washington Post does a rundown of things known in public before the Mueller report summations are released to Congress and the public…. Special counsel Robert S. Mueller III has concluded his investigation without charging any Americans with conspiring with Russia to interfere in the 2016 campaign and help elect Donald Trump. But hundreds of pages of legal filings and independent reporting since Mueller was appointed nearly two years ago have painted a striking portrayal of a presidential campaign that appeared untroubled by a foreign adversary’s attack on the U.S. political system — and eager to accept the help. When longtime Trump friend Roger Stone was told a Russian national wanted to sell damaging information about Clinton, he took the meeting. When the anti-secrecy group WikiLeaks published documents that the Democratic National Committee said had been stolen by Russian operatives, Trump’s campaign quickly used the information to its advantage. Rather than condemn the Kremlin, Trump famously asked Russia to steal more. Even after taking office, Trump has been hesitant to condemn Russia’s actions, instead calling the investigation a “witch hunt” and denouncing the work of federal investigators seeking to understand a Russian attack on the country he leads. The president has adamantly insisted there was “NO COLLUSION,” as he has frequently tweeted . And before the conclusion of Mueller’s inquiry, Republicans pointed to comments from Senate Intelligence Committee Chairman Richard Burr (R-N.C.), who in February asserted that a lengthy investigation of the campaign by his committee has not located any direct evidence that anyone associated with Trump’s campaign coordinated with Russia. The details of Mueller’s findings remain unknown except to relatively few people. On Friday, after he submitted his confidential report to Attorney General William P. Barr, a senior Justice Department official said the special counsel has not recommended any further indictments. Barr said he plans to provide a summary of Mueller’s major conclusions for lawmakers in the coming days. In recent court filings, Mueller’s prosecutors had hinted that they were pursuing active lines of investigation related to possible coordination between Trump associates and Russia. One of the areas they were examining: the handoff by Trump campaign chairman Paul Manafort of 2016 polling data to a Russian employee who allegedly has ties to Russian intelligence. Another: longtime Trump adviser Roger Stone’s alleged efforts to gather information about the material WikiLeaks held at the direction of an unidentified senior Trump campaign official, according to his January indictment. Only a release of Mueller’s report — which is not guaranteed — would fully answer where those inquiries led…..
Mueller report backs Trump’s no collusion claim…. The report does say in a back handed way that Trump KNEW things illegal where going on, but did nothing..
Is this a way to hint at a cosspricy, but not challenge Justice Dept. policy about indicting a sitting President?